If you’re a man who values perfection, the chances are that the entire ordeal of shopping for wrist watches is never easy. There are simply so many things to look for in a product that choosing even the simplest of models can turn out to be a difficult chore. And there are so many famous and good watch brands in the market all around the world. But now, there is no reason to worry anymore. Cause we’ve brought you a fantastic collection of best watches under 500 dollars that suit the tastes and preferences of every modern man. 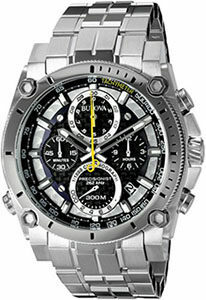 It includes 10 best mens watches under 500 dollars and most of them are bestselling watches, too. You don’t need to spend too much time to search for your perfect watch. Just read this best watches under 500 dollars guide and find out the exceptional offerings available in your budget. Features and Pros: 1. An expensive looking watch, big, heavy yet elegant. 2. Although large and heavy, it's very comfortable to wear. 3. Has fold-over clasp with single push-button safety closure. 4. Very reliably built, flawless functionality. 5. Water resistant to 300 m (990 ft). How far can you go to achieve perfection? For some people, striving for perfection in all fields means everything because they know of no other way to live life. The Bulova Men’s 96B175 Precisionist Watch has been made for such men as it comes with features that speak for themselves and is no less than perfect. Boasting an excellent combination of utility and high-quality aesthetic appeal, this model comes with Japanese quartz movement with the function of analog display. Features and Pros: 1. Outstanding looks featuring guilloche dial and black tachymeter. 2. Eco-Drive technology makes this watch recharge by light alone. 3. The case and link bracelet are made of titanium. 4. Anti reflective sapphire dial is another bonus that will give you effortless viewing. 5. Water resistant to 200 m (660 ft). 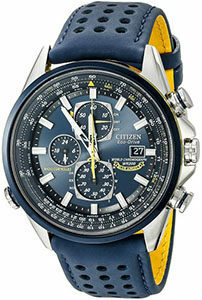 Citizen is a watchmaker that is renowned around the world for their unparalleled quality craftsmanship. The Citizen Eco-Drive Men’s AT4010-50E Titanium Perpetual Chrono A-T Watch is an example of their skills that have made them a top brand in the market. This watch is a silver toned dive watch featuring black tachymeter topring and guiloche dial with three useful chronograph subdials. It has Japanese quartz movement with analog display. And powered by Eco-Drive technology, you never need to replace batteries. Features and Pros: 1. Great look and great functionality, very comfortable to wear. 2. Is breathtaking while being masculine at the same time. 3. Excellent durability due to the presence of antireflective-sapphire dial window. 4. Easy to read time and date and Eco-Drive technology makes you never need to change battery. 5. Decent water resistance up to 660 feet ensures safety while swimming. Citizen Eco-Drive Men’s AT8020-03L Blue Angels World A-T Watch has everything a watch lover deserves because it has all the charm to impress. It has slide-rule bezel featuring a stylish blue color dial with impressive chronograph functions. You’ll find the date window to be at 3 o’clock for maximum convenience. It has Japanese quartz movement with analog display and powered by Eco-Drive technology. This model is visually impressive due to the blue dial and blue band. The 23mm synthetic leather band has a buckle style type closure, so it is very safe to use. Along with the 43mm stainless steel case, all these features make this watch look exceptionally gorgeous. But there’s more because the steel case comes with antireflective sapphire dial window that’s resistant to minor scratches and provides for better viewing of time. Additionally, the watch is water resistant to 660 feet. So it is suitable for professional marine activity and serious surface water sports, but not for scuba diving. Features and Pros: 1. Great looking and supremely functional time piece. 2. Excellent contrasting features in the watch’s face. 3. The anti reflective sapphire window protect the watch from scratches and makes it easy to read time. 4. Don’t need to replace batteries due to Eco-Drive technology. 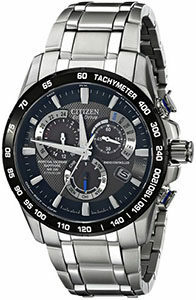 With a unique design and sharp features, Citizen Eco-Drive Men’s AT9010-52E World Time A-T Watch is a product of many men’s desire. Belonging to the Citizen Eco-Drive Radio Controlled lineup of models, this wristwatch comes with a stainless steel built with crafty orange contrasts. The contrasting features alongside alternating numeral markers and date window at 3 o’clock make an excellent example of the company’s craftsmanship. Thanks to the luminous hands, you’ll be able to see time at night effortlessly as well. The watch has Japanese quartz movement featuring analog display and powered by Eco-Drive technology. The 43 mm stainless steel case protected by antireflective sapphire dial window should give you the confidence to take on challenges without fearing scratches or breakage. This model provides water resistance to 660 feet, which makes it appropriate for serious marine activity and other water sports. You may, however, do well without going for scuba diving. Features and Pros: 1. A stunning watch, outstanding attention to detail and very well made. 2. Japanese automatic movement with hand winding and hack function. 3. 50 hours power reserve with see-through back. 4. Water resistance to 50 meters, good enough to withstand sessions of swimming. If you know anything about the watch industry, then you’ve probably heard about Seiko. It is a high-quality brand that provides excellent watches. 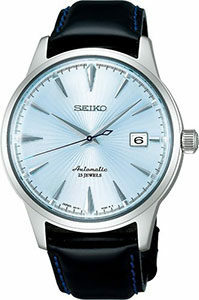 The Seiko Men’s SARB065 Mechanical Elegant Model Automatic Watch is the first in our list. It is one such excellent example that outshines many expensive watches with the same features. This watch comes with a 40 mm stainless steel case and 20mm calfskin band with buckle clasp. It is very comfortable to wear and easy to read time and date. Additionally, you don’t need to replace battery because the watch has Japanese automatic movement with hand winding and hack function. The accuracy is +25~-15 seconds per day. This means you’ll get nothing short of the absolute accurate time regardless of where ever you are. And the watch also has 50 hours power reserve and a see-through back. It means you don’t need to wear it everyday. The watch is also water resistant to 50m, so you can wear it while swimming. In a word, this watch is a must have in our list of best watches under 500 dollars. Features and Pros: 1. Impressive watch, looks nice, keeps good time. 2. Synthetic sapphire dial window adds some much-needed durability to the screen. 3. Has automatic self wind movement, don’t need batteries. 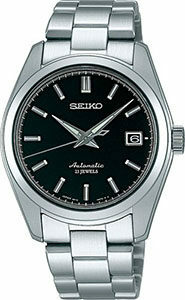 Seiko is a very famous watch brand known for the unreadable value of their products among the wristwatch community. 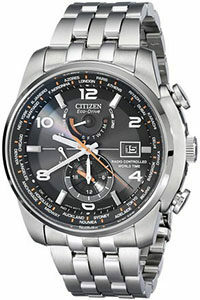 Even though a lesser renowned name than Citizen, this brand does pack an equally impressive punch in their products. Seiko Men’s SARB033 Mechanical Standard Models Automatic Watch is one of them that carries all the goodness of the brand tag. It is exceptionally elegant in design and comes with equally useful features that every modern man should carry on their wrist. Features and Pros: 1. Fantastic watch,right size, easy to read time in light or in darkness. 2. Features automatic movement with mechanical caliber for easy usage. 3. Successfully pulls off a simplistic design with high utility. 4. The color green adds much-needed refreshing visuals. 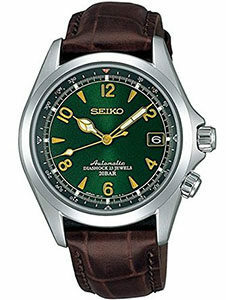 The Seiko Men’s SARB017 Mechanical Alpinist Automatic Watch is everything that the brand stands for. Coming with features such as automatic winding with mechanical caliber, this model takes convenience to an entirely different level. It has a 38mm stainless steel case and 20mm alligator leather band. You’d be surprised how comfortable the leather feels on your wrists. Because Seiko believes on the finest quality in every aspect. As far as looks are concerned, the green tone dial and silver body create the ideal mix for a classy appeal. Other features include simple compass ring for adduction, 50-hour power reserve, and there is a date display at 3 o’ clock. The synthetic sapphire dial window is another bonus that adds durability. And it is water resistant to 200m, that means it is suitable for professional marine activity and some serious surface water sports. But it is still not suitable for scuba diving. Be it a formal event or an evening out with friends, this watch will keep you ready to rock in every situation. You have to be prepared to receive compliments. So it deserves a place in this best watches under 500 dollars collection. Features and Pros: 1. Bold in design, yet simplistic enough to appeal to the majority taste. 2. Stylish and elegant, suitable for both formal and casual attire. 3. Carries the old school charm with the khaki color belt almost flawlessly. 4. Easy to read, sapphire window also has antireflective properties for your convenience. 5. Automatic self-wind movement with see-through back. 6. Water resistant to 50 m (165 ft). 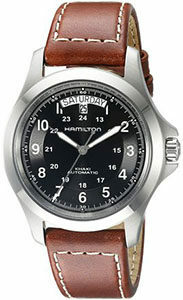 Combining a blend of old-school appeal and modern features, Hamilton Men’s H64455533 Khaki King Series Automatic Watch offers the best of both worlds. The first appeal of this model is undoubtedly the round black dial that forms a perfect contrast with the stainless steel body. Hamilton has also infused an anti-reflective sapphire window with the 40 mm stainless steel case for maximum durability so that you may never have to compromise on the fun. Features and Pros: 1. Stunning and impressive watch, bold and really sharp. 2. Exceptionally beautiful visuals create a mesmerizing appeal. 3. A superior mix of mechanics and materials. 4. Water resistant to 1000 m (3300 ft). This high degree of water resistance keeps you prepared for serious water sports. Imagine the best-looking watch you’ve ever laid your eyes upon. Now imagine a product that is far superior to what came to your mind. 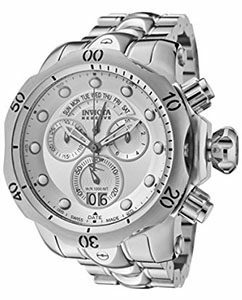 Yes, the Invicta Men’s 1537 Reserve Venom Chronograph Watch is the product we are talking about that will exceed all expectations. This timepiece has been designed with meticulous attention to detail and comes with a bold structure. The 53mm stainless steel case and 26mm band make it is one of the worlds largest watches. For a big man, you can’t go wrong. Features and Pros: 1. Great looks. It's simple, sleek, classy and elegant. 2. Features Swiss automatic movement and antireflective dial window. 3. The black dial in combination with stainless steel body creates an attractive mix. 4. Has been built to appeal to varying tastes of men and complement different types of attire. 5. Water resistant to 100 m(330 feet), which makes it suitable for snorkeling and swimming. Who hasn’t heard about Tissot? A top Swiss watch brand that single-handedly revolutionized the watch making industry and introduced some of the finest quality timepieces to the world. 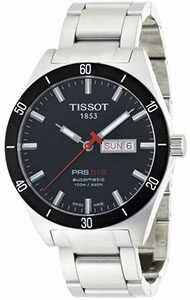 To own a piece of the popularity, you must check out Tissot Men’s T0444302105100 PRS 516 Stainless Steel Watch. It comes with all the features that make this brand recognition all around the world. The 42mm stainless steel case and 20mm band are suitable for most people’s wrists. Featuring stainless steel body and black dial, the tone is set for a remarkable product than worth the price.